Ex-Nottinghamshire cricketer Andy Afford is the speaker at the latest Trent Bridge lunch, taking place on Thursday, 7 February. 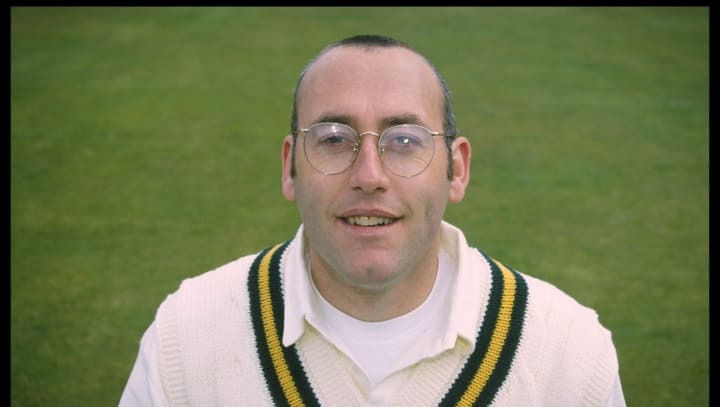 Afford made his First-Class debut for Nottinghamshire during the 1984 season, going on to take 468 red-ball wickets, including two ten-wicket match hauls. The Lincolnshire born bowler is currently Managing Director of creative agency, Stencil. The lunch, priced at £23 per person, will take place in the Derek Randall Suite from 12 noon for 12.30pm, and includes a two-course meal. There will be a complimentary drinks reception for attendees courtesy of Ryley Wealth Management Ltd.
You can secure your place by clicking here, or by calling our friendly team on 0844 8118712. Ryley Wealth Management Ltd, established by David Ryley in 1999, have recently renewed their partnership with Nottinghamshire CCC and are providing the complimentary drinks reception to celebrate their ongoing support for the Club. Advisers from Ryley Wealth Management Ltd will be in attendance at the lunch and will be delighted to answer any financial queries from attendees. The service they provide incorporates all aspects of personal and corporate wealth management from saving and investment planning to mortgages and protection, retirement and estate planning. “As a company based in Nottingham, we’re delighted to partner with Nottinghamshire County Cricket Club for the second year running,” said David Ryley, CEO of Ryley Wealth Management Ltd.
“Their values of giving back to the community of Nottinghamshire, to disadvantaged young people, are akin to our own. “Doing the right thing by our clients extends to the communities they live in and we’re proud to continue supporting the good work at Trent Bridge. Ryley Wealth Management Ltd is an appointed representative of and represents only St. James's Place Wealth Management plc (which is authorised and regulated by the Financial Conduct Authority) for the purpose of advising solely on the Group's wealth management products and services, more details of which are set out on the Group's website www.sjp.co.uk/products. The titles 'Partner' and 'Partner Practice' are marketing terms used to describe St. James's Place representatives. Your home may be repossessed if you do not keep up repayments on your mortgage.